Drip irrigation technology is suitable for any soil, any terrain and any crop that is not densely planted. Especially in the hilly and arid mountainous areas, the drip irrigation system has a high cost, so it is mainly used for economic crops such as fruit trees, vegetables, cotton and soybeans. 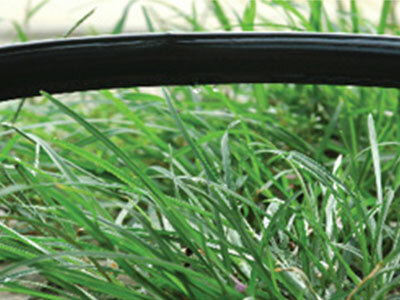 Drip irrigation is a water-saving and high-efficiency irrigation technology that has developed rapidly in recent years. The dripping part now uses a plastic film ribbon hose, which directly punches out the water, and the water is relatively uniform, and the installation is convenient. The cost is low. It is suitable for use when it is replaced once in 1~2 years. Because all of them use pressurized pipelines to deliver water, they can adapt to complex terrain without leveling the land. Pipes can be used to save 8% to 10% of land compared to ground irrigation. Compared with ground irrigation, water saving is 70%~80%, 50% water saving than sprinkler irrigation, and energy saving 70%~90%. The drip irrigation system is mainly composed of a water supply device, a water supply pipe (dry, branch pipe) and a drip soft belt. Water supply device - refers to water source, water pump, flow and pressure regulator, fertilizer mixing tank, fertilizer injector. Water pipeline - refers to the passage of water from the water supply to the drip irrigation area. Drip part - currently used polyethylene plastic film dropper tape. Function Irrigation of cotton, potatoes, strawberries, cucumbers, etc. Function Irrigation of greenhouses, field vegetables, corn, etc. Function Irrigation of grapes, strawberries, greenhouse vegetables, etc.